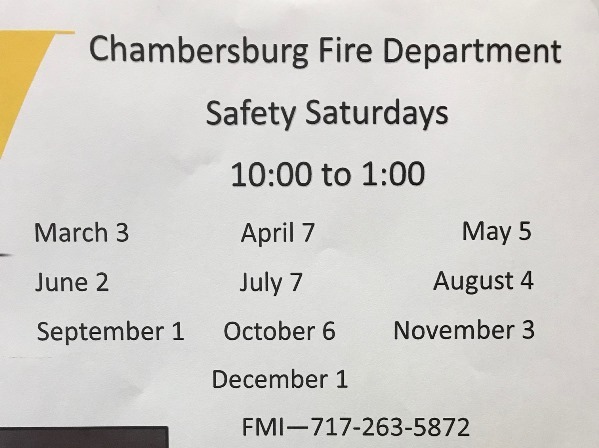 The Chambersburg Fire Department will host a monthly safety day at 130 North Second Street on the first Saturday of every month through 2019. Car Seat checks/installs are based on car seat availability. 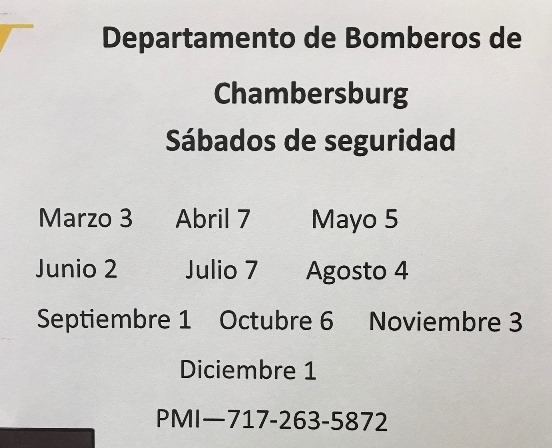 Smoke Detectors are available for owner occupied residences in the Borough of Chambersburg and Carbon Monoxide Detectors are available for anyone who meets the criteria and resides in the Borough of Chambersburg. Please click to access the Safety Flyer in English. Please click to access the Safety Flyer in Spanish.